Teeny-tiny bags might look elegant but really how do people get all their stuff in there? 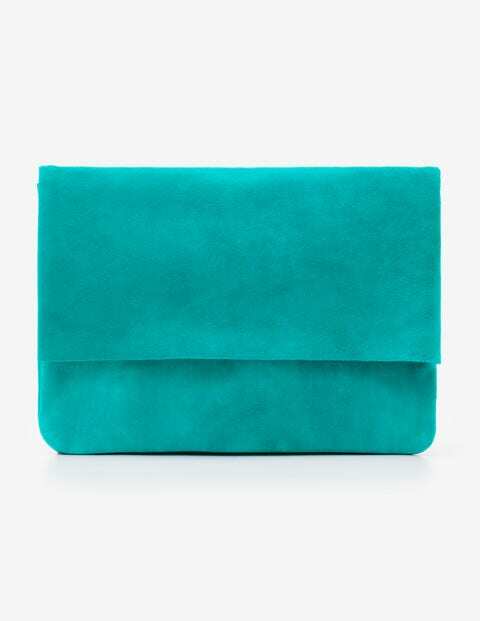 We've crossed refinement with practicality and come up with an occasion clutch that delivers style and substance. Cut from stroke-me-soft suede, it has a foldover magnetic fastening, zipped inside pouch and plenty of space for your evening-out essentials.